Faisel has worked in the field of financial exclusion for nearly 20 years. Initially with the Grameen and World Bank in Bangladesh, for the last 17 years he focused his work in the UK and Europe. In 2000 he set up the first microcredit program in London’s east end, and in 2005 launched Fair Finance, a social enterprise tackling financial exclusion in the UK. Faisel was the elected President of the European Microfinance Network (2010-15) and writes an occasional column for the Guardian Newspaper on issues around financial exclusion. Rachel Bentley joined the Fair Money Advice Board in 2016. 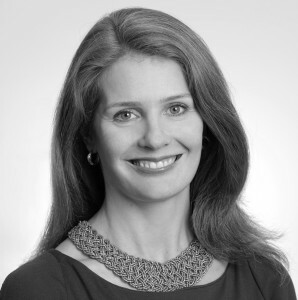 Rachel is a director at PwC in London specialising in assisting international private clients. She joined PwC in Tokyo, Japan in 2002 and has worked with the firm successfully for 15 years in Tokyo, London, Honolulu and New York. She also focuses on building PwC’s private client practice in Africa with a particular focus on Nigeria and South Africa. Outside of her professional commitments, Rachel is passionate about social justice and has volunteered and supported charitable boards in various capacities throughout the world. Most recently in addition to her role with FMA, she is lead facilitator at PwC Classroom, a programme which provides sixth former’s in London from disadvantaged backgrounds with business and financial skills. She is also a female leader on PwC’s Women in Business Shadowing programme for female students. Rachel speaks at events on various topics including but not limited to Women in Business and broader gender issues, US tax technical matters and the Tax Morality debate. She also regularly attends professional networking and charitable functions in both her personal and professional capacity. She is a graduate of the University of Warwick and also holds a Masters in Law from Nagoya University in Japan. In her spare time, Rachel enjoys travelling, horse-riding, hiking, reading and the Arts. Erik has spent the majority of his career in retail banking with firms such as Citi and Barclays. He has worked in various operational roles with his primary speciality in credit operations and collections. Erik’s career has allowed him to work in many international markets including the USA, UK, Europe, Africa, and the Middle East. He has had the opportunity to work with many different organisations in recent years as an independent consultant. Erik is also the Head of Adult and Industry Programmes for The Money Charity. In his free time, Erik enjoys running and travelling and volunteering with the Southwark Foodbank. Erik has been on the board of Fair Money Advice since Spring 2016. 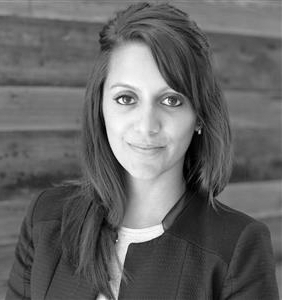 Shalini works with Generation Investment Management, a sustainability-focused investment firm founded in 2004 by Al Gore and David Blood. Prior to Generation, Shalini worked with J.P. Morgan in the firm’s sustainable finance and corporate responsibility division. Shalini holds a BA degree from Harvard University, where she was a Harvard College Scholar, and is currently pursuing an MSc in Finance at the London School of Economics. While at Harvard, Shalini’s research into social movements focused on housing equality received awards from the Harvard Humanitarian Initiative, the Weatherhead Centre for International Affairs, the David Rockefeller Center for Latin American Studies, and Harvard’s Institute of Politics. From 2012, Shalini served as a research fellow with the Harvard Kennedy School and the University of Washington’s Evans School of Public Affairs. Shalini has been on the Board of Fair Money Advice since spring 2016.